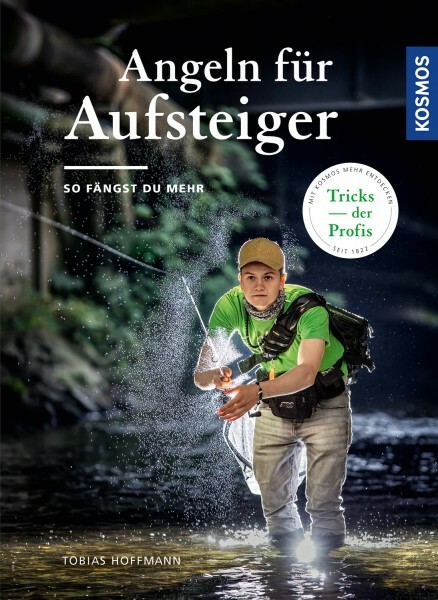 Product information "Angeln für Aufsteiger"
After “Rodfishing for the Clueless”, Tobias Hoffmann now moves rod fishers to the professional track – modern, current and reliable. Which methods do you use to catch target fish, such as carp, tench and pike? What are expert tricks for the best success? All topics are explained in a way that is easy to understand and with concrete photos. Tobias Hoffmann is a rod fisher who has followed his passion since early childhood. His goal is to pass on his knowledge and many years of experience to other rod fishers in a practical and understandable manner.